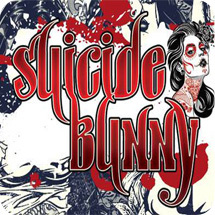 Mother's Milk is one of the signature e-liquid flavours from Suicide Bunny. The initial flavour is reminiscent of creamy custard, which then develops into a sweet strawberry flavour when exhaled. One can feel a smooth rich cream rush on the taste buds developing a flavour so tempting, that one gets eager for the next vape. This is a perfect combination of innovation and taste. The best part of this liquid is that it is made using the highest quality materials and has a very strong VG as well. This liquid is derived by extracting precisions and using the best ingredients. It is something that is very interesting and flavourful. Mothers Milk is considered to be one of the best all day vape and the signature juice from Suicide Bunny. Really liked it. Sweet, no bad aftertaste which is what I really don't like in a lot of e-juices. It is absolutely godlike! It's main juice now. Absolutely recommend! Good service. Good site. Really liked it. Love this flavour, can taste the creaminess of the custard and sweetness of strawberry! This is creamy and lovely. Recommend. Like this flavour can taste the creaminess of the custard and sweetness of strawberry! Definitely purchase again. Perfect custard taste with nice fresh strawberries. Really good taste and vapour. Sweet with a baked goods aftertaste. Cloud and flavour are amazing it's a must try for any vaper, no after taste! It is absolutely godlike! Recommend! Very fast delivery . Great service. Thank you.